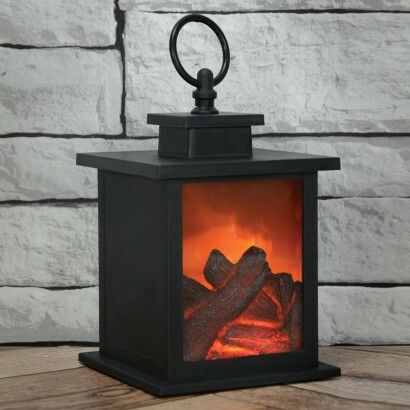 Enjoy the warmth and relaxing ambiance of flickering flames in a traditional styled lantern lit by LEDs for real flame effects. 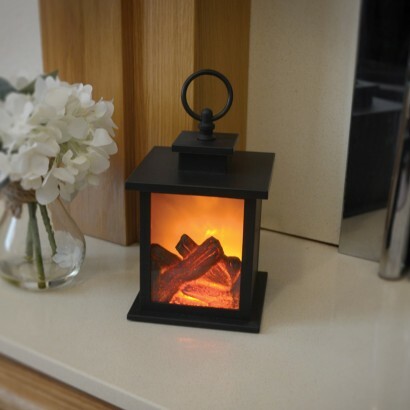 Choose from the 6 hour timer function, or simply switch on and see the backdrop of the lantern come alive with dancing flames for a realistic hearth like glow. 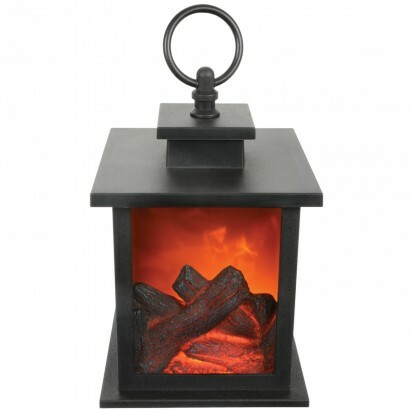 Battery operated, this fireplace lantern can be placed anywhere in your home, and the top mounted hanging ring allows it to be suspended from hooks or fixtures too. 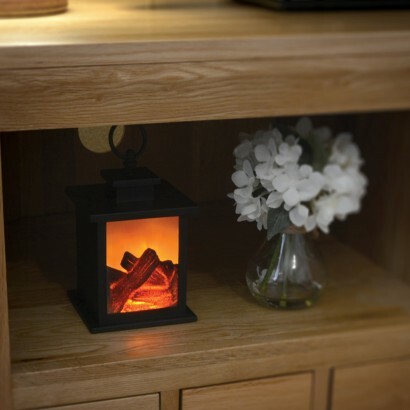 Love these little lamps!.. my hounds love lying next to them they look so real., lol. 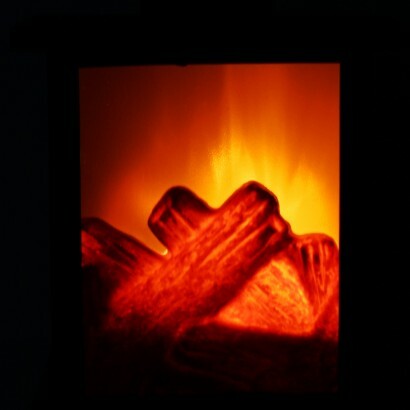 I leave one on overnight for them ...looks cosy. I shall def be ordering more.